Lin Zhao (born Peng Lingzhao) was a woman caught in rapidly changing times. An early convert to the Communist cause, by age 16 she was working with Communist cells1, even running away to join a journalism school run by the Communists. At the urging of Chairman Mao, she, along with many others, participated in open criticism of the government during the Hundred Flowers Movement – the idea at the time being that a hundred schools of thought spring up, and the strongest ones survive. But it was a trap. Mao’s regime, having “enticed the snakes out of their caves,” abruptly changed course and started jailing dissidents. Lin was sentenced to 20 years in prison, where she was repeatedly beaten and tortured. 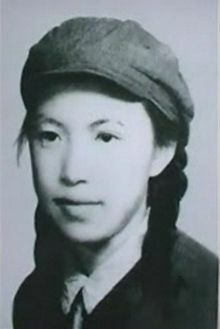 But even her stay in prison could not silence her – she continued writing criticism of Mao, using hairpins and her own blood as ink, writing on walls and shirts. In 1968, she was executed by firing squad. Her family did not know of her fate until they were charged five cents for the bullet used to kill her. Her story was all but unknown until 2005, when the documentary In Search of Lin Zhao’s Soul came out, to much critical acclaim. The director, Hu Jie, after hearing of her story, had quit his job to search far and wide for information on her. Several of her essays survive to present day, and a collection of them is currently underway at Stanford University.